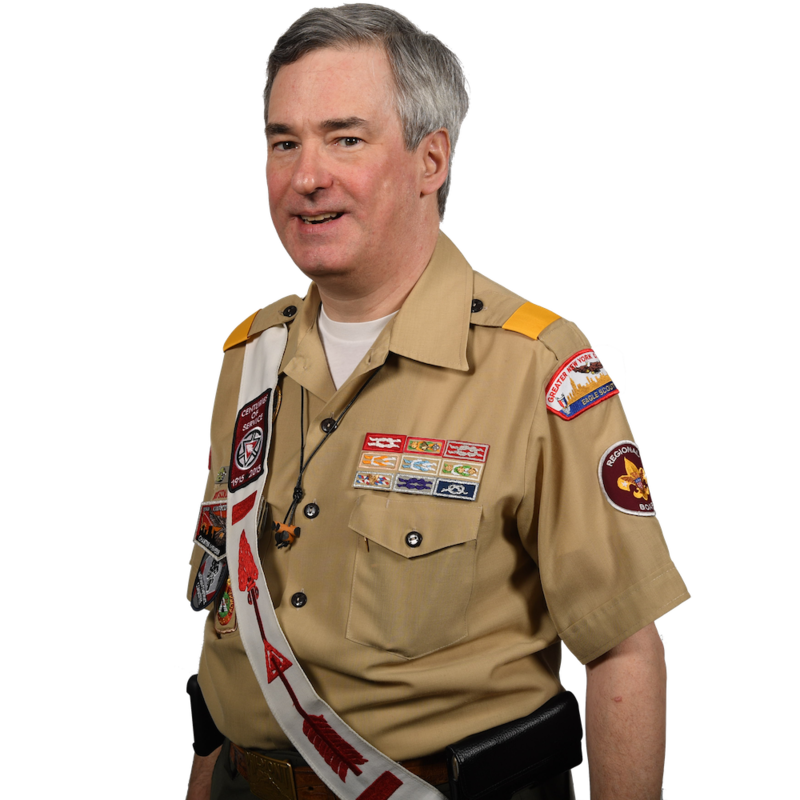 Tom is a Distinguished Eagle Scout from Greater New York Councils (GNYC) who has held lodge, section, regional, and national roles in the Order of the Arrow. He is a Vigil Honor member of Kintecoying Lodge and is a recipient of the Distinguished Service Award, Silver Beaver, and Silver Antelope. Currently, Tom serves as theVice Chairman of Technology, National OA Committee; Trustee, BSA National Foundation; Area Commissioner, Area 2, Northeast Region; member, Northeast Region Board; Vice President, Enterprise Risk Management, GNYC; Finance Adviser, Kintecoying Lodge; Wood Badge Coordinator, GYNC. Bob is an Eagle Scout, and has been awarded the Vigil Honor and Founder's Award by Otahnagon Lodge, Baden-Powell Council. Bob has served as lodge adviser, section adviser, council vice president, a member of the Area 3 Communications Committee, the adviser to the National Digital Media Team, a member of the National Region and Section Operations Subcommittee, and has held leadership roles in several national events. Bob has been awarded the Distinguished Service Award and the Silver Beaver. He resides in Vestal, NY, and professionally, is a program manager for defense contractor BAE Systems. Mike is an Eagle Scout and Vigil Honor member from Owaneco Lodge, Connecticut Yankee Council. Locally he currently serves as Council Vice President for Council and District Program and as Associate Lodge Adviser for Finance. 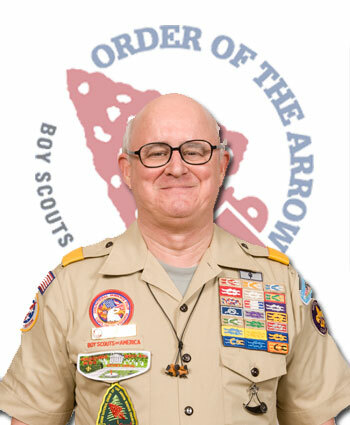 Nationally with the Order of the Arrow, Mike serves as a member of the Technology Subcommittee and is the Lead Adviser for OA LodgeMaster. Mike is a recipient of the Distinguished Service Award, Silver Beaver Award, Founder's Award, and is a James E. West fellow. Mike lives with his wife Mara, in Beacon Falls, CT, and works for MetLife as an Actuarial Systems Analyst. Bob is an Eagle Scout and a Vigil Honor member of Wunita Gokhos Lodge, Pennsylvania Dutch Council. In his Council he has received the District Award of Merit and the Silver Beaver Award. He has been awarded the Founder’s Award for Lodge service, and the Distinguished Service Award for Regional and National service. Bob has served Scouting in a number of capacities, including Region National Leadership Seminar Coordinator, National Order of the Arrow Conference Special Events Coordinator, Jamboree staffs, Section Adviser, Lodge Adviser, Assistant Scoutmaster, Council NESA Committee Chairman, and is a James E. West Fellow. Bob has three daughters and lives with his wife Jane in Downingtown, Pennsylvania. 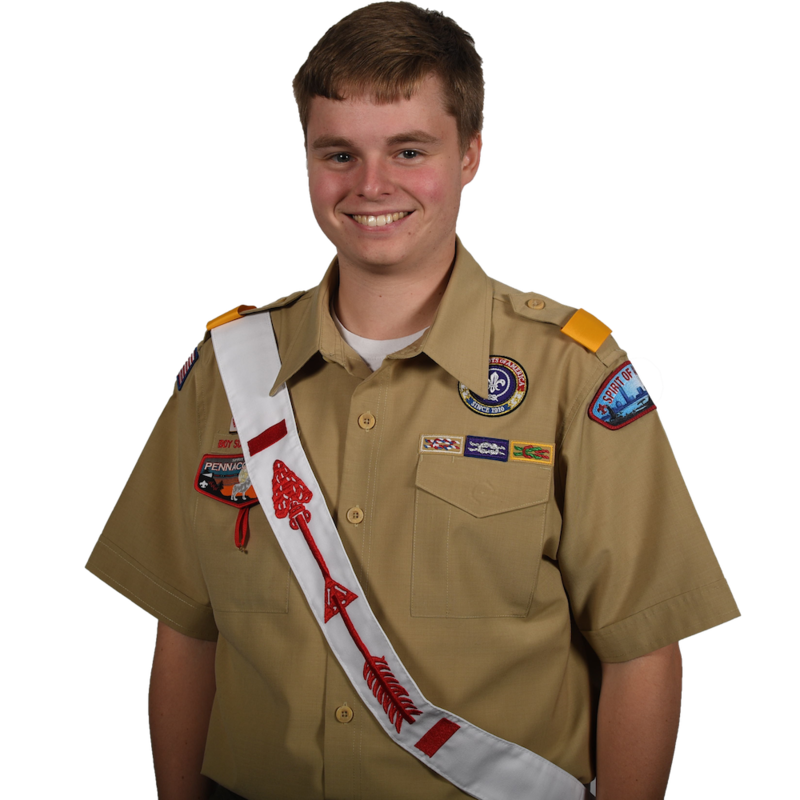 Mark is an Eagle Scout, and has received the Vigil Honor and Founder's Award from Unami Lodge. As a youth, he served as lodge chief, section vice chief, section chief, and as a national conference vice chief. As an adult he has served as lodge adviser, council vice president, area 5 vice president, and as a member of the National Training Task Force, the Special Needs Scouting Task Force, the Youth Development Committee, and the Northeast Region Board. Mark has been awarded the Distinguished Service Award, the District Award of Merit, the Silver Beaver, and the Silver Antelope. He resides in Philadelphia with his wife Jayne, and professionally, is the assistant vice president of development for the Magee Rehabilitation Hospital Foundation. Bill is an Eagle Scout, Vigil Honor member, and Founder's Award recipient from Owaneco Lodge, Connecticut Yankee Council. He is a Council Vice President for Unit Program and serves on the Unit, Chapter, and Lodge Support Subcommittee in the Inductions and Ceremonial Events area. Bill has served as Section Adviser, Lodge Adviser, and was a Lodge Chief and Section officer as a youth. Bill is a recipient of the Distinguished Service Award, Silver Beaver Award, and is a James E. West Fellow and OA Legacy Fellow. Outside of Scouting, he serves on the board of the Strike 3 Foundation, an organization that heightens awareness, mobilizes support, and raises funding for childhood cancer research. Bill has two sons and lives with his wife, Kristin, in Wallingford, CT. Professionally, he is the Director of Information Technology for the Town of Trumbull. Donald is an Eagle Scout, Vigil Honor member, and Founder’s Award recipient of Kintecoying Lodge of the Greater New York Councils (GNYC) where he was instrumental in the consolidation of New York City’s five OA lodges. Donald is an executive board member of both GNYC and the Manhattan Council and is Vice Chairman of the national Scouting Alumni Association. He was elected national OA chief in 2001. 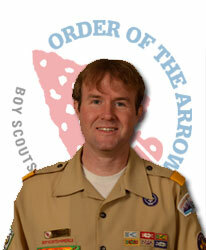 Donald is a recipient of the OA’s Distinguished Service Award and the Silver Beaver Award, and is an OA legacy fellow. 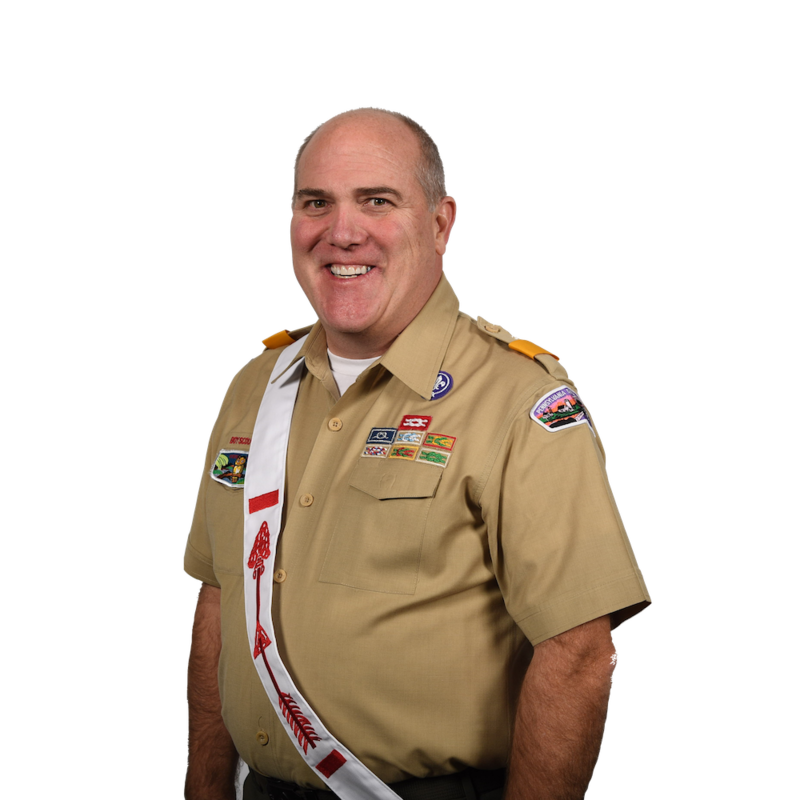 He directed and produced GNYC’s “Times Square Jamboree” in 2010, served as Deputy Conference Chairman at NOAC 2009, and has had two stints as a NOAC Lead Adviser (NESA@NOAC in 2012 and Centennial Celebrations in 2015). Professionally, Donald is the Director of Operations for a private family office in Manhattan. He is a member of Holland Lodge No. 8 F&AM, and the Union League Club of NY. 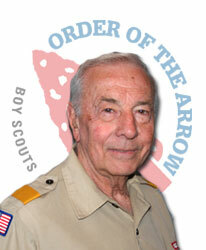 Ed is an Eagle Scout and Vigil Honor member of the Order of the Arrow. He’s a James E. West fellow and a Silver Beaver recipient. He currently serves as the Council Vice President of Garden State Council. 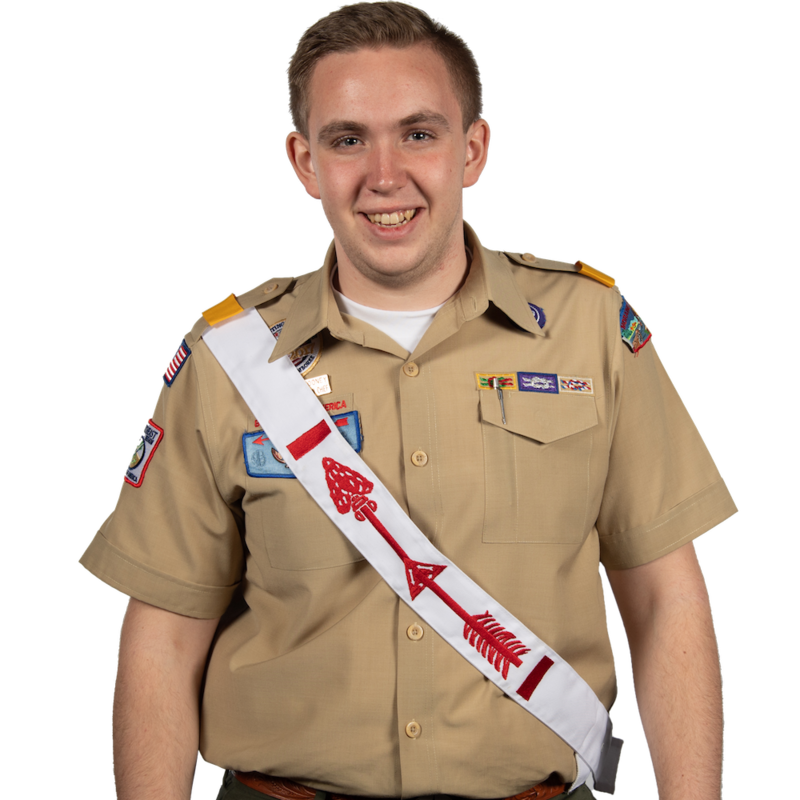 Scouting has always been a big part of his life; as a Youth he served as a Lodge and Section Chief before serving as the 2004 Northeast Region Chief. Outside of Scouting, Ed is a founding partner at Woden, a narrative agency in Philadelphia. He is also a freemason and spends his time with his wonderful wheaten terrier, Bailey. 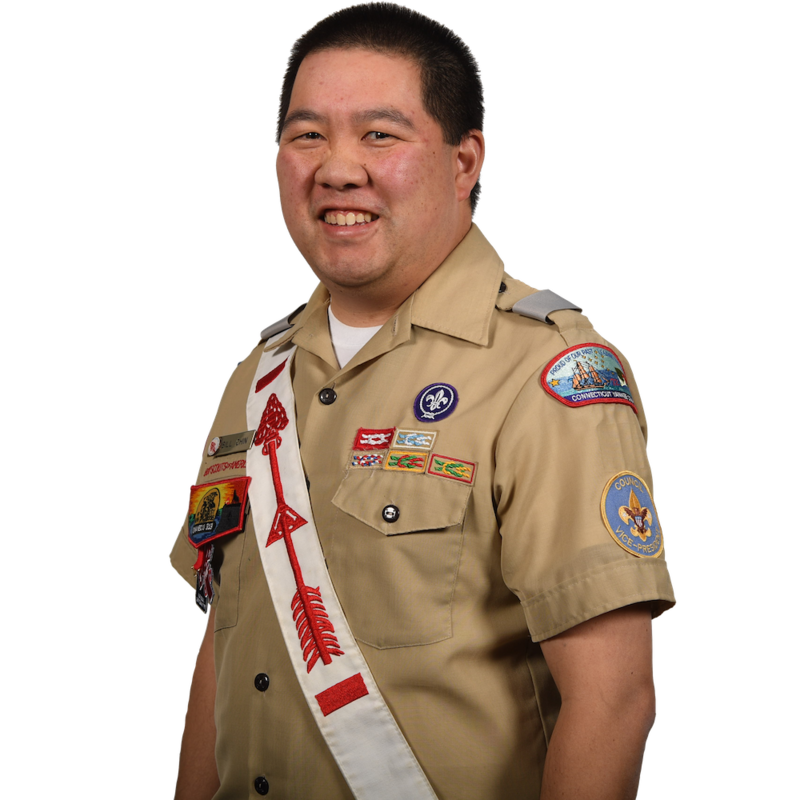 Ken is an Eagle Scout, Air Explorer Silver Award recipient, Vigil Honor and Founders Award recipient from Amangamek-Wipit Lodge of the National Capital Area Council where he is an Executive Board member. He served as the Southeast Region OA chairman (1974-82) and the vice chairman for lodge operations (1985-88). 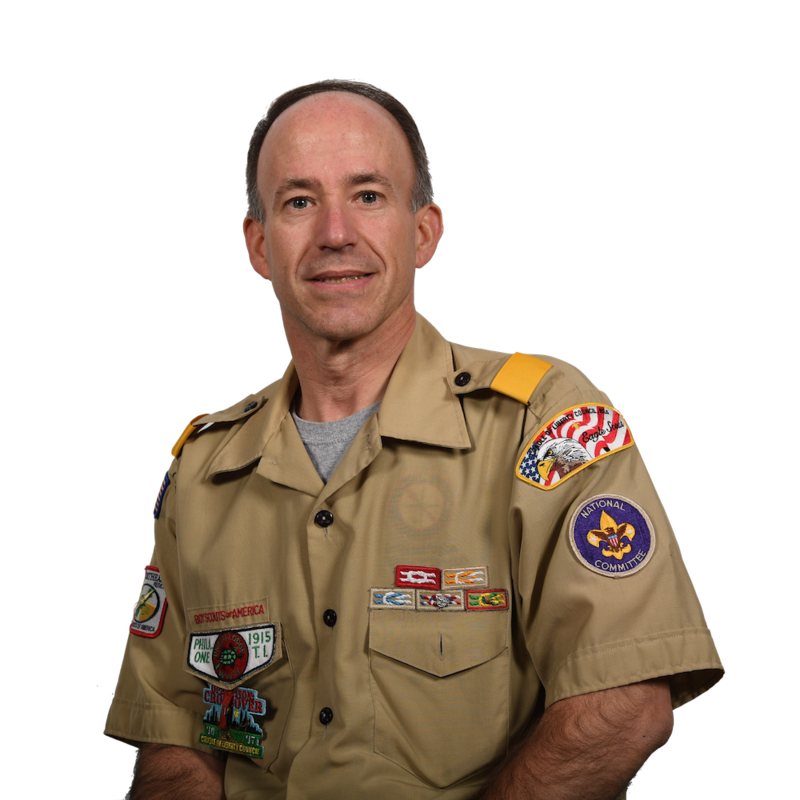 He is the author of three editions of the History of the Order of the Arrow, the History of Wood Badge, and the History of the Philmont Staff Association. He has served on multiple Wood Badge and National Camp School staffs. His adult recognitions include the District Award of Merit, the Silver Beaver, the Silver Antelope, the OA Distinguished Service Award, the Silver Buffalo, and the Hornaday Gold Badge. He is currently a Vice President of Area 6, and a member of the region advisory board. Ken retired from the US Department of Defense in 2002 after 30 years, and from the US Army/Army Reserve as a Colonel with 31 years of service. Tony is a Eagle Scout, Vigil Honor member and Founder’s Award recipient from Shu-Shu-Gah Lodge, Greater New York Councils in New York City. He is currently the vice president, program for the Greater New York Councils and a member of its executive board. Tony chairs the council’s program committee and previously served as chairman of the GNYC 100th Anniversary Committee where he was responsible for the design and implementation of the council’s Times Square jamboree. Tony is a former section associate adviser from NE-2C and served as the Western Region Chief in 1996. He is also a recipient of the Order’s Distinguished Service Award, the Silver Beaver, and is a James E. West Fellow. Outside of Scouting, Tony serves as the president of the Association of Princeton Graduate Alumni and the treasurer of the UC San Diego Alumni Association. He is a director at Manatt Health Solutions, an interdisciplinary law and consulting practice at Manatt, Phelps and Phillips, where he is recognized as an expert in health care policy and finance. Carl is a Vigil Honor member from NA Tsi Hi Lodge, Monmouth Council. 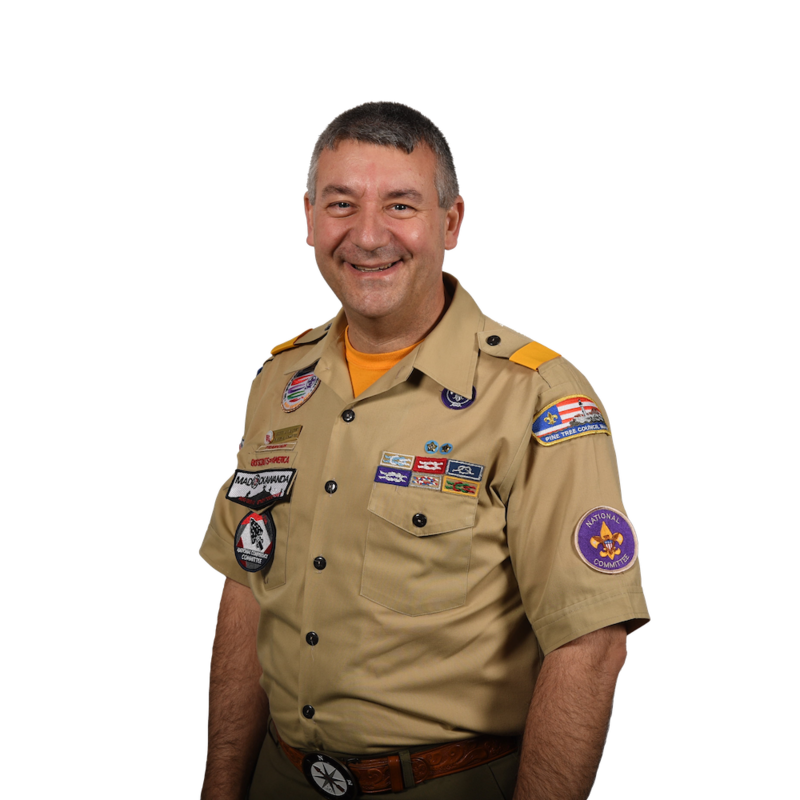 From Ocean Township, NJ, Carl has served as national chairman, lodge chief, section chief, lodge adviser, and area adviser. Carl has been awarded the Distinguished Service Award and has been awarded the Silver Beaver, Silver Antelope, and Silver Buffalo awards. Carl was also presented with the Order's Lifetime Achievement Award at the 2004 NOAC. Hailing from Millsboro, Delaware, Matt is a Vigil Honor member from Nentego Lodge. 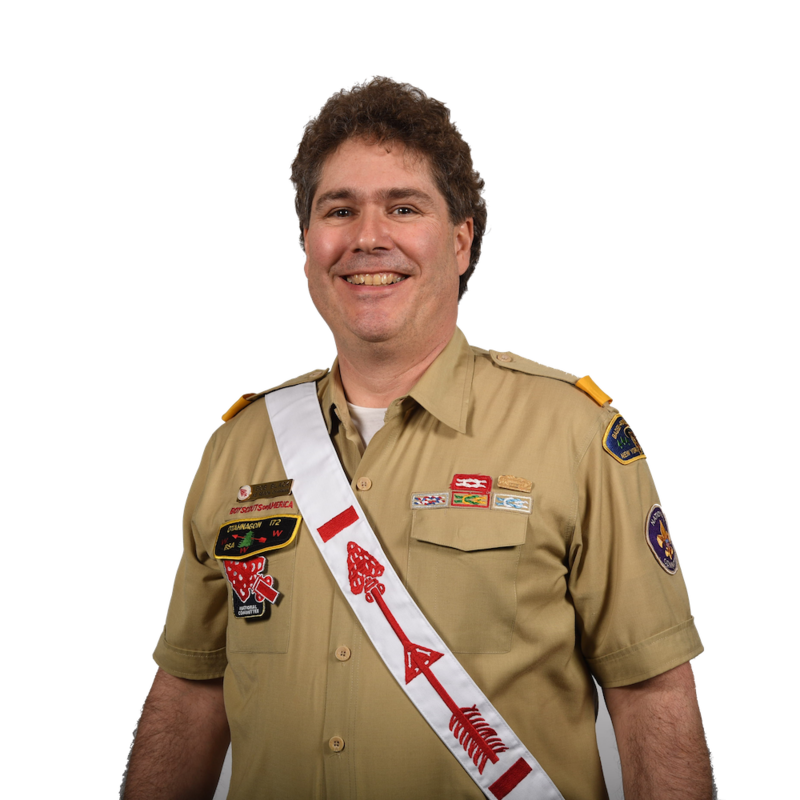 He is a former Section NE-6A chief and served as the conference vice chief at the 2018 NOAC. Wanting to design residential homes, Matt studies architectural engineering at Delaware Technical Community College. 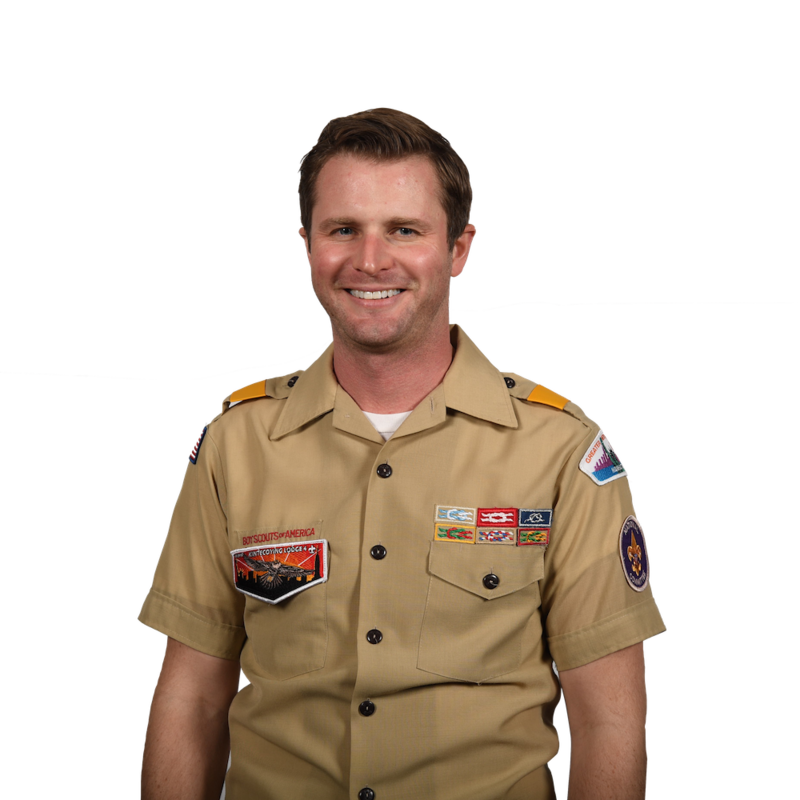 Matt is a Sea Scout and enjoys sailing in his free time. Justin hails from Lowell, MA. He is an Eagle Scout, Vigil Honor member, and Founder's Award Recipient from Pennacook Lodge. Previously, Justin served as the 2018 Northeast Region Chief and two terms as section chief for NE-1. Justin is a political science major at the University of Massachusetts, Lowell, and plans to attend law school following his graduation. He enjoys skiing, drinking iced coffee, and has a goal of visiting all 50 state capitols. In 2019, he'll be serving on the national Order of the Arrow committee as the youth lead for the strategic performance subcommittee. A fun fact about Justin is that over the past five years, he has participated in a three mile swim across Northwood Lake in New Hampshire to fund-raise for local Scouting programs. Kaylene is a Vigil Honor member of Woapeu Sisilija Lodge, Susquehanna Council, and hails from New Berlin, PA. She has served in various positions in the Cub Scouts, Boy Scouts and Venturing programs. Currently, Kay is serving her council as vice president of program, and also serves on the Area 4 Committee. She has served on staff at national Scouting events, including NOAC, Arrow Corp5, OA Summit Corp, Indian Summer, National and World Jamborees, NLATS Staff, and the Philmont Leadership Challenge Pilot Course. She has also trekked and staffed Philmont Scout Ranch and is active with Wood Badge. 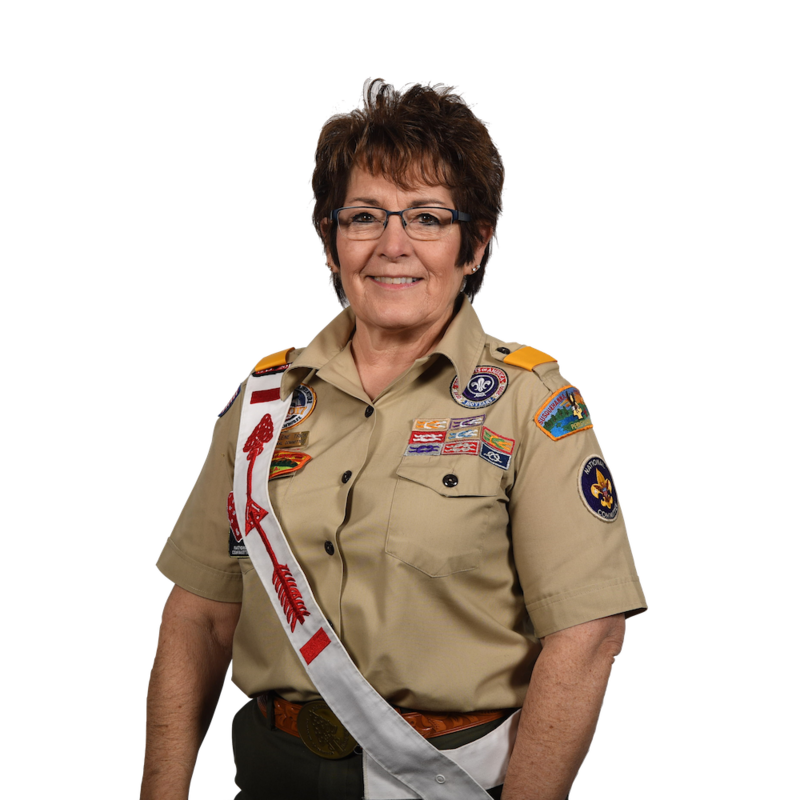 Kay is a recipient of the Distinguished Service Award, Distinguished Commissioner Award, Silver Antelope, Silver Beaver, District Award of Merit, Lutheran Lamb Award, International Scouters Award, and the James West Fellowship. Most of all, she is the proud Mom of an Eagle Scout. Scott is an Eagle Scout, and has been awarded the Vigil Honor and the first Founder's Award in Madockawanda Lodge, Pine Tree Council. 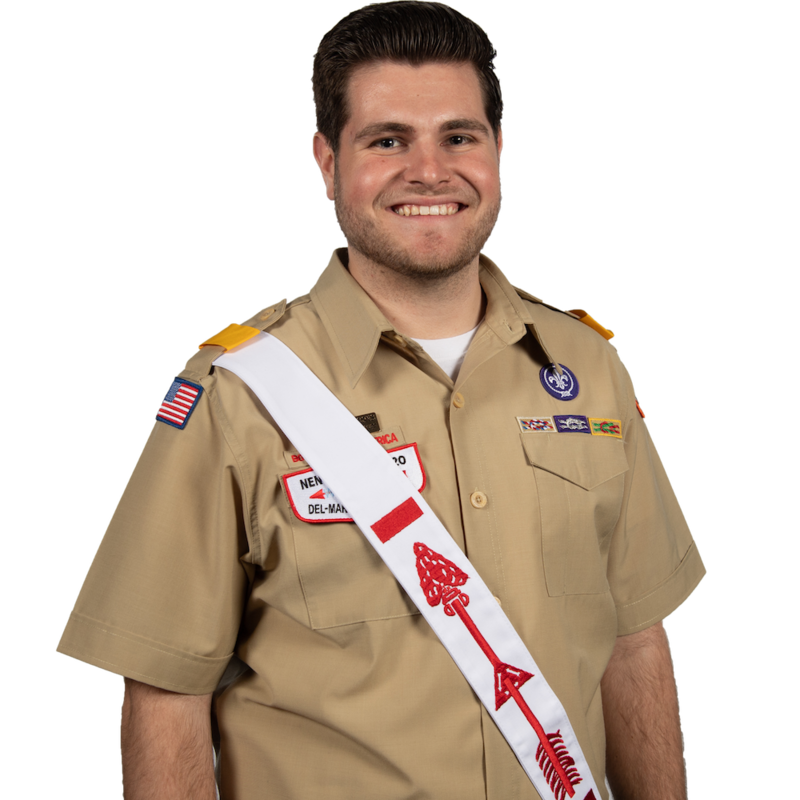 As a youth, he has served as a chapter chief, lodge vice chief, lodge chief, section vice chief, section chief, and a national conference vice chief (CVC). 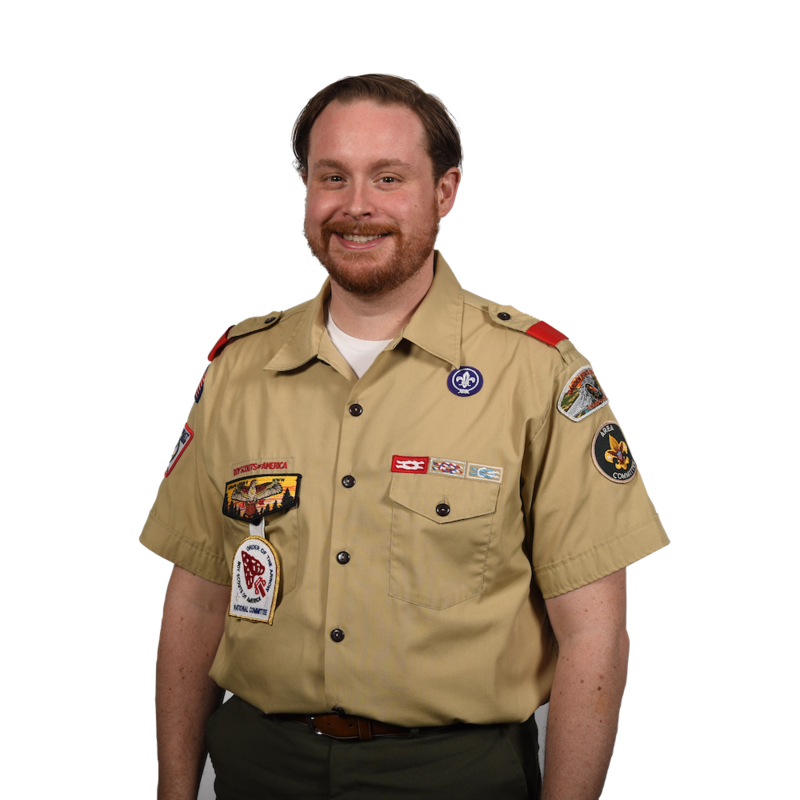 As an adult, he is a Committee Member of Troop 312 in North Berwick, ME and is the Strategic Plan Chair on the Pine Tree Council Executive Board. Scott has served in various adult positions including chapter adviser, district committee, lodge committee adviser, council committee, area committee, associate section adviser, section adviser and adviser to several national event subcommittees. Scott is a recipient of the District Award of Merit, the Silver Beaver, and the National Distinguished Service Award. 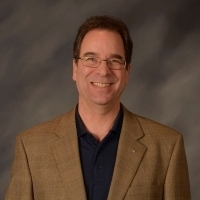 Professionally, Scott is the Director of Strategic Technology and an Adjunct Faculty member in the Computer Science Department and Analytics and Data Science Program of the University of New Hampshire. Residing in Berwick, ME, in his spare time, he enjoys gardening, hiking and spending time with his family.